A Primitive Gathering of Treasures for your Pleasure. We Specialize in Handmade items of all kinds of treasures. You can now purchase right from this site now too through Square. All of our prices include shipping and handling and in most cases we absorb the shipping fee. Our goal is to provide you with a quality product at a reasonable price. Have fun and Enjoy your self while looking and learning on our site. OK! Here we go with another Halloween Doodle to go with the Boot! A Crowe's Gathering credit as the designer, that is all we ask. Be Safe, Cool and Creative!!! Hand dyeing dates back to ancient times. Our ancestors used beads, shells and other materials to produce results similar to tie dyeing. Could Joseph's "coat of many colors" have been an example of early tie dyeing? Our ancestors also used materials that were extracted from plant roots and from flowers, leaves and berries. These included blackberries, safflower, marigold, red cabbage, sage and indigo. We still use these natural dyes today. However, synthetic dyes produce more permanent, accurate and consistent results. Tie dyeing emerged again in the 1960s as a new generation sought to express its freedom and individuality. Individuals produced custom results through different techniques and colors, creating their own personal statements on clothes. •Fiber-Reactive Dyes -- Fiber-reactive dye is the most permanent of all dye types. One popular brand used by many artists and craftsmen is Procion MX Dye. Extremely popular for tie dyeing, this cold-water, fiber-reactive dye can be used in many ways including tie dyeing, batik, airbrushing and screen printing. Procion comes in concentrated form and is mixed with cold tap water to produce vivid, almost electric results. T-shirts are commonly used with this dye and can be washed with other garments without the dyes bleeding onto contrasting colors such as black. Most times, fiber-reactive dyes are the dyes found in tie-dye kits and in one-step fabric dyes. •All-Purpose Dyes -- In contrast to the Procion dye's preference for cold water, all-purpose dyes are used with hot water. They are mostly used when dyeing nylon, cotton or rayon. All-purpose dyes are sold under many brand names including Rit dye. •Acid Dyes -- They sound a little scary, but acid dyes can be easy to obtain and very economical to use. An example of an acid dye is food coloring. Food coloring can be used to dye certain blends of wool, silk and nylon. Heat is required to produce washable results. Dyeing silk ribbons with sweetened drink mix such as Kool-Aid is a wacky sounding but fun technique. •Natural Dyes -- Natural dyes simply fascinate me. They are best suited, however, for projects that do not require a lot of washing as they are less permanent than synthetic dyes. Generally speaking, wool is the best fiber to use with natural dyes, so dyeing yarn to use with crochet or knitted projects is an option. Many times a mordant will be used with natural dyes. A heavy-metal ion, a mordant is a substance that helps hold the dye to the fiber. It can be complicated to use and highly toxic. Dyeing with natural dyes produces less accurate results than dyeing with synthetic dyes, and results can be difficult to replicate. 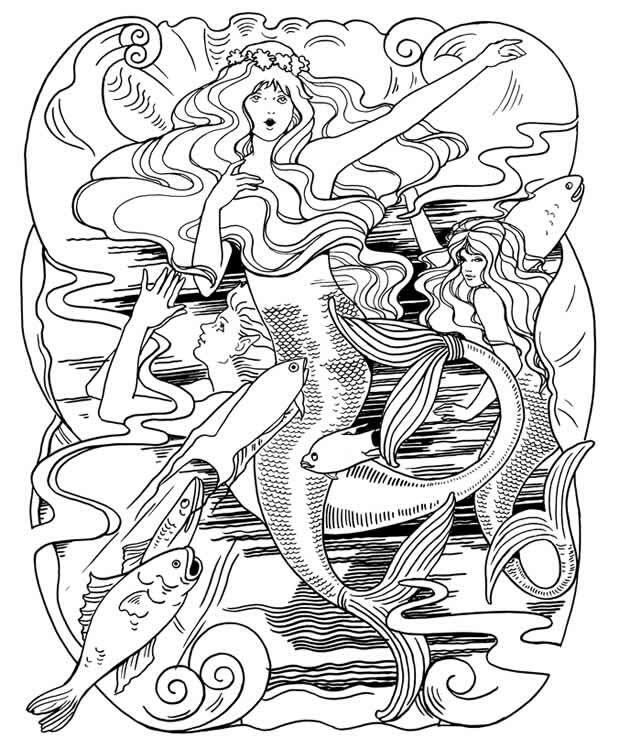 There are two basic methods of dyeing fibers with the dyes mentioned above. Fibers can be dyed using the immersion or direct-application technique. •Tie Dyeing -- Tie dyeing is probably the most widely used method of direct-application dyeing. Concentrated fiber-reactive dyes are mixed with water and applied directly to the fiber with squirt bottles. Additionally, the garment is tied in places to prevent the dyes from reaching them, which produces an endless array of unique patterns and designs. Fabric can be tied off with string or a rubber band. •"Scrunch" or Low-Water Immersion Dyeing -- Also know as "crumple" or "crackle" dyeing, low-water immersion involves the use of a small or "low" amount of water mixed with dye while you crunch the fabric together. A dye mix is poured over crumpled fiber, and colors are allowed to bleed and spread to produce unique and varied color gradations. •Batik -- This method is similar to tie dyeing in that you directly apply fiber-reactive dyes in squirt bottles. 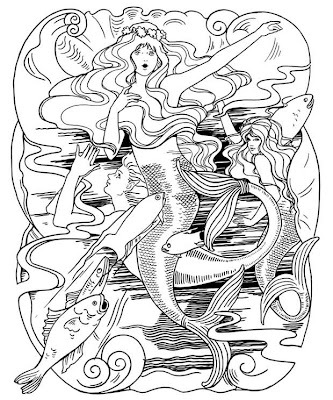 Beeswax and paraffin waxes are used to draw designs onto the fibers. The wax will act as a resistant when the dye is applied. This was some information that I had found and thought I would share with you all. 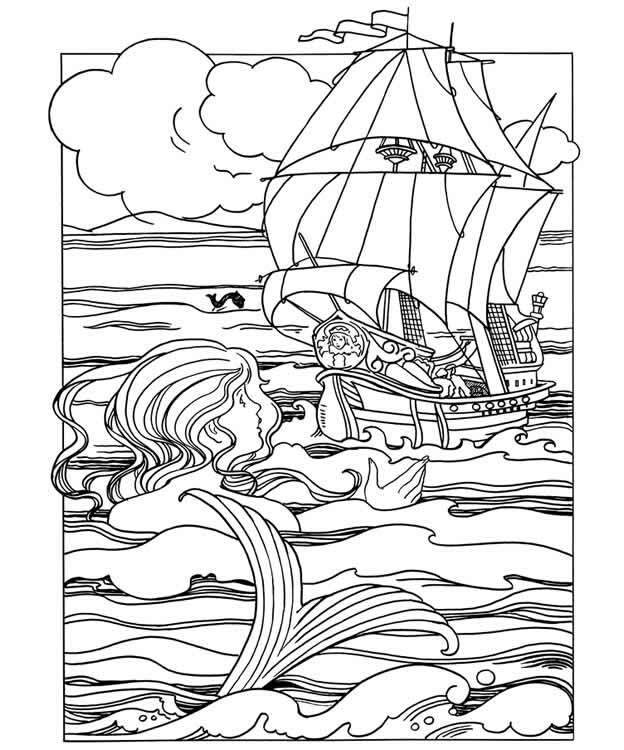 Here is a Coloring page for Labor Day Coming up! let the Kids have all kinds of Fun!!!! 2.In a large skillet over medium heat, saute the ground beef for 5 minutes. Add the onion and garlic, and saute for 5 more minutes. Drain any excess fat, if desired. Mix in the olives, green chile peppers, tomatoes with green chile peppers, taco sauce and refried beans. Stir mixture thoroughly, reduce heat to low, and let simmer for 15 to 20 minutes. 3.Spread a thin layer of the meat mixture in the bottom of a 4 quart casserole dish. 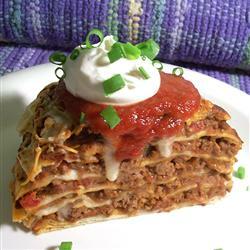 Cover with a layer of tortillas followed by more meat mixture, then a layer of cheese. Repeat tortilla, meat, cheese pattern until all the tortillas are used, topping off with a layer of meat mixture and cheese. 4.Bake for 20 to 30 minutes in the preheated oven, or until cheese is slightly brown and bubbly. Today's Inspirational Quote and Did You Know! "If you want happiness for an hour---take a nap. If you want happiness for a day-----go fishing. If you want happiness for a month--get married. If you want happiness for a year----inherit a fortune. If you want happiness for a Lifetime---help someone else." that today is invite an Alien to Live with You Day? at the very least, invite a stranger to lunch! Williams was born on July 21, 1952, to Chicago, Illinois. at craft fairs, craft malls, your websites and blogs. Mass production you will need written permission. using in many different mediums. Be Safe, Cool and Creative! Here's some of the items that are on sale. these are the pet eyelets that are .50 a package. These brads are to only .50 a pkg. Plus these celebrate tags are only .75 a pkg. and they are regular 3.49 a pkg. 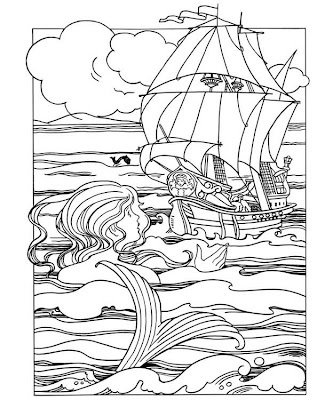 Little Mermaid 2 Coloring page. So many times we run out of things at the most inopportune time, or your in a small town and you don't have access to a lot of products and you have to order what you need. What ever it maybe we have all been in that situation at one time or another. Here are a few things to help you out when your in a pinch. Have you ever ran out of Snow Paste and it's midnight, nothings open, well here is a tip and I use it all the time now, I just seem to like it so much better than the store stuff. You sand your Styrofoam balls together over a container for the shavings, once you have the amount of shavings you need, add your white glue and mix to farm a paste. That's it, how simple is that. Store in and airtight container. Sometimes I will add Mica Flakes or Glitter for some variations. I pick up Styrofoam at the dollar store or when I find it on sale, so I always have a supply of stashed away. Add your faces and ear muffs, hats and what ever else you want to decorate your heads with and also remember you can shade your snowman heads too. If these are going to be an ornie then attach your hanger and your ready to go. Take your jar that you want to have the grubby look and paint a thin even coat of white glue over the whole jar. Then put your spices in the bottom of the cookie sheet and roll your jar in the spices until the whole jar is covered with spices and tap off the excess and let dry approx. 1 hour. Then repeat the process until you have achieved the desired look that you want, once that has been completed use your spray sealer and seal your project and let dry and you might want to put two to three coats, letting each one dry completely before you put the next coat on. The type of spray sealer is for your desired look, I like the Satin or Matt sprays the best, gloss and high gloss are just to glossy for me, but it is your preference and the look that you want. Variations: You can use instant coffee grounds to dust with and it will make a darker look for your project. You can also mix glue and your spices together and paint this on in thin layer and let dry and repeat the process until you have the desired look you want and then seal once completely dry. If you put this mixture on to thick it will slide down the jar and glob around the bottom and peel off, so your key to success is to apply think layers and let dry dry between applications. We hope these tips and recipes help you with your up coming projects. fun coloring, it's just that easy. Hope they enjoy!!!! run for vice president from a major party. is worth saving, how can you give up?" 1.Place a 10 inch cast iron skillet inside oven and preheat oven to 475 degrees F (245 degrees C). 2.In a medium bowl, beat eggs with a whisk until light. Add milk and stir. Gradually whisk in flour, nutmeg and salt. 3.Remove skillet from oven and reduce oven heat to 425 degrees F (220 degrees C). Melt butter in hot skillet so that inside of skillet is completely coated with butter. Pour all the batter in the skillet and return skillet to oven. 4.Bake until puffed and lightly browned, about 12 minutes. 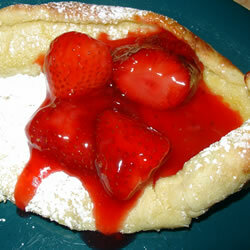 Remove promptly and sprinkle with powdered sugar. This looked so good I must be really hungry..lol not a good time to go looking at recipes. 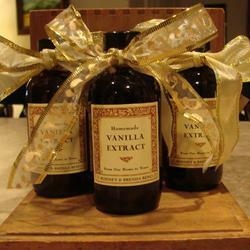 This is to die for and the best vanilla ever and it is so easy to make and a lot cheaper and it's fresh. 1. Place the vanilla beans in the bottle of vodka and seal. Store in a cool, dark area such as a kitchen cabinet for 3 weeks, shaking the bottle every week. Three weeks is the minimum, store it 6 months for the best flavor. After using, replace with more vodka. The same beans will continue to flavor the vanilla for up to a year. I have been making this for a while now and it just gives an awesome taste and the vanilla been, well you just can't get any richer taste. You can also bottle this and makes a great holiday seller too. I hope you all enjoy! We now have a Paypal Store Front where you can purchase some of our product right from our blog. decided to complete your order just follow the instructions, it's just that easy. over charge you for shipping we will refund the difference to you via paypal. We Thank you for shopping at ACG and our Paypal Store. I'm a stay at home mom and taxi driver for my daughter...lol She has her DL but preferrs mom to drive her, really doesn't like it and we live in a small town in Sounthern Idaho. I love to craft, do shows and create using all kinds of different mediums. My favorite season is Fall Winter and Christmas, the smells and colors are to die for.